The Great Pyramid of Giza is the most awe inspiring structure to have ever been built on the Earth. The more one learns of it the less they are likely to feel they understand it. The accepted teaching on the great pyramid, that it was a tomb built for a pharaoh in 2560 BC is, without question, a fantasy. Manifesting multitudes of incredibly complex mathematical equations which accurately record detailed information regarding Earth measurements, astronomical data, states of matter and even time, mankind could not come close to achieving this monument in the present day. Standing 455 feet tall without its capstone, measuring over 755 feet along one of its four sides and weighing nearly 6 million tons, its size is impressive and yet its size is not nearly the most impressive thing about it. The pyramids scattered around Egypt correctly express a depiction of the constellation Orion. 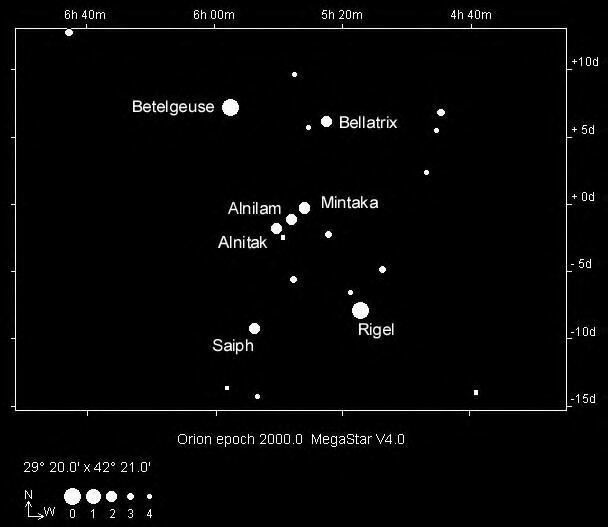 The three most notable stars of that constellation are the “belt stars” Alnitak, Alnilam and Mintaka, which correlate to the three pyramids of Giza, the Great Pyramid correlating to Alnitak. The offsetting of the smallest star in the belt, Mintaka is reflected by the same offsetting of the smallest pyramid known as the pyramid of Menkaure. The Great Pyramid is positioned exactly in the center of Earth’s landmass and is aligned precisely to the position of true north. On vernal equinoxes it casts no shadow at noon having been positioned at just the right latitude and with the correct angling of its walls to create this effect. A line can be traced from the apex of the pyramid to Bethlehem and crosses the Red Sea where it was divided during the Exodus. At one time, 144,000 highly polished white casing stones covered the entire surface of the structure, causing it to reflect light that could be seen from the moon and which would look like a glowing beacon on the horizon viewed from land areas as far as Israel. It would require volumes to attempt to fully discuss every amazing aspect of the Great Pyramid, but perhaps enough is said here to seriously contradict any claims of this being an achievement of a primitive Egyptian society or any human society. As a symbol, many of us are accustomed to seeing the form of the pyramid used in very unpleasant ways and it often reminds those who see it of globalism, a new world order and an antichrist system which seeks to enslave humanity. Perhaps we are all most familiar with the depiction of the pyramid on the US dollar with its eye in a disconnected capstone hovering above. As a result of these associations it is easy to regard the Great Pyramid itself with some distrust and this, along with mainstream theories of a pagan society having built it, can turn believers away from learning more. The enemy is subtle, and instead of using those things which are inherently evil to deceive, a method which might really deceive far fewer, he uses counterfeits of things YHWH has established in order to both defile those things in the minds of His people and to distort the line between himself and the Creator he attempts to emulate. Consider the possibility that in fact, the Great Pyramid was designed by the Creator Himself, a monument which is designed to reflect all the specifications of creation in one structure. A monument that is perhaps beyond any created creature’s ability to fully decipher, being a presentation of both past and future time, and all laws which govern the Earth and Heavens He has made. A structure He has termed both the Cornerstone of the Earth and Tsiyown. Where were you when I laid the foundations of the earth? Tell Me, if you have understanding. Who determined its measurements? Surely you know! Or who stretched the line upon it? when the morning stars sang together and all the sons of ‘Elohiym shouted for joy? In that day there will be an altar to Yahuwah in the midst of the land of Mitsrayim (Egypt) and a pillar to Yahuwah at its border. And it will be for a sign and for a witness to Yahuwah of hosts in the land of Mitsrayim for they will cry to Yahuwah because of the oppressors and He will send them a Savior and a Mighty One and He will deliver them. 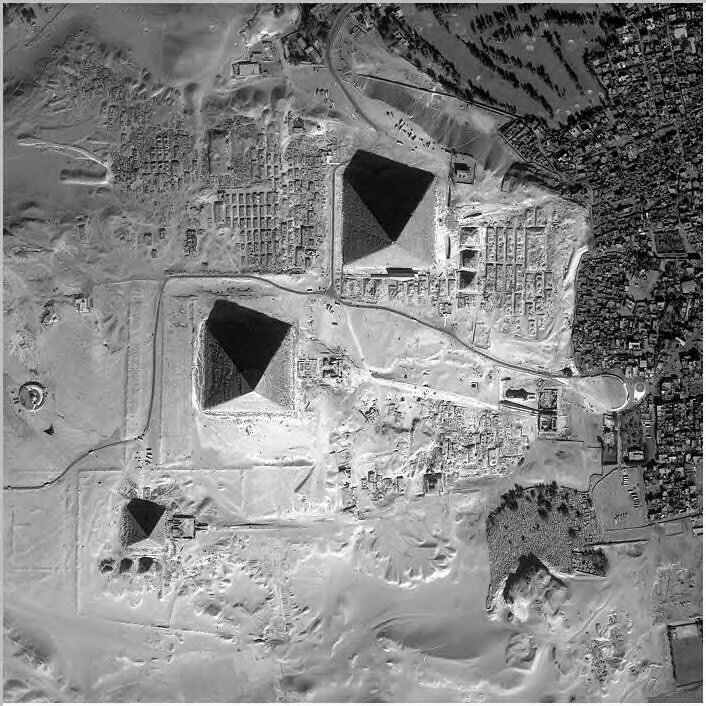 The Pyramid is located in Egypt, at it’s border in Giza, which itself means “border”. The Great Pyramid is without a capstone. It has been without one for a very long time, long enough that no sure written record exists of what it was like aside from some oral tradition of it having been made of gold and representing a miniature of the whole pyramid in perfect scale model. Who that capstone was made to represent, though, is recorded and can be found also in scripture. I will praise You, for You have answered me, and have become my salvation. The stone that the builders rejected has become the *head corner stone. This was Yahuwah’s doing. It is marvelous in our eyes. *head: rosh – head, beginning, captain, first, foremost, high, lead, principal, top. Yahushua said to them, “Have you never read in the scriptures, ‘The stone that the builders rejected has become the chief cornerstone. This was Yahuwah’s doing and it is marvelous in our eyes’? Having been built on the foundation of the apostles and prophets, Yahushua the Anointed Himself being the chief corner in whom the whole building, being joined together, grows into a sacred sanctuary in the Master in whom you also are being built together for a dwelling place of Yahuwah in the Spirit. Tsiyown, known in English transliteration as “Zion”, is often mentioned as being a holy mountain of Elohim and a location of sanctuary for His people. The definition of Tsiyown is given as ‘desert” and the word Tsiuwn is defined as: conspicuousness, monumental or guiding pillar, sign, title, waymark. Then I saw another messenger ascending from the east, having the seal of the living ‘Eloah. And I heard the number of those who were sealed. One hundred forty-four thousand of all the tribes of the sons of Yisra’el were sealed. Then I looked, and behold, a Lamb standing on Mount Tsiyown, and with Him one hundred forty-four thousand, having His Father’s name written on their foreheads. They sang as it were a new song before the throne, before the four living creatures, and the elders, and no one could learn that song except the hundred forty-four thousand who were redeemed from the earth. These are the ones who were not defiled with women, for they are virgins. These are the ones who follow the Lamb wherever He goes. These were redeemed from men as firstfruits to Yahuwah and to the Lamb. If Yahushua, then, is the chief cornerstone, represented on the Pyramid by the capstone, there must be an answer to why it is missing, why it is used in symbolism by the enemy as it is, and who these builders are who it is said rejected the Cornerstone. YHWH Himself designed the pyramid, yet there were builders who constructed it, and those builders have rejected the Chief Cornerstone which YHWH established, that Cornerstone being not only the physical stone which capped the structure but Yahushua Himself. The builders could not have been human, but angelic beings who built this incredible monument to the Creator but then failed to uphold the honor of what it stood for. The earth before the flood was a society built on and ruled by fallen angelic kings who sought to father beings in their image to rule over those YHWH had made in His, who attempted to replace His rule over creation with their own. A first real New World Order. Their use of a new capstone which symbolized their own vision for a creation ruled by them is still meaningful to the occult to this day and is still used to imply the same meaning. Is it any wonder that one of this day’s most infamous secret societies go by a name which refers to building with stone – the Masons, and is it any wonder that the “god” to whom they pay homage is called by them The Grand Architect of the Universe? He is not called a Creator because he is not one, he is a builder only and one who rejected the true Cornerstone. This entry was posted on 10/07/2010 at 8:42 PM and is filed under 01 : The Chief Cornerstone with tags 1 Peter 2, 144000, all seeing eye, Alnilam, Alnitak, ancient, angels, Antichrist, archaeology, astronomy, Beast System, belt stars, ben-ben, benu, Bethlehem, capstone, casing stones, center of Earth, chief cornerstone, clear gold, cornerstone, Creator, Earth measurements, Egypt, Ephesians 2, Exodus, fallen angels, Freemasonry, freemasons, GAOTU, Giza, globalism, gold, Grand Architecht of the Universe, Great Pyramid, holy city, holy mountain, Illuminati, Isaiah 19, Israel, Jerusalem, Job 38, Masonry, Masons, Master Builders, matter, Matthew 21, Menkaure, Messiah, Mintaka, Mitsrayim, monoatomic gold, New Jerusalem, new name, New World Order, NWO, Orion, Orion pyramids, pinnah, preflood, Psalm 118, pyramids, Red Sea, Revelation 14, Revelation 21, Revelation 7, rosh, secret knowledge, stone the builders refused, symbols, time, true north, Tsiuwn, Tsiyown, vernal equinox, white stone, Yahushua, Yahuwah, YHWH, Zion. You can follow any responses to this entry through the RSS 2.0 feed. You can leave a response, or trackback from your own site. I am not sure whether I think angelic beings were responsible for the GP. We have no idea the kinds of devices and abilities the pre-flood peoples had. We do know that some recent studies have suggested that using certain frequencies one can levitate great amounts of weight. I have no doubt that, even though they were fallen because of Adam and Chuwah, they probably had what we would consider miraculous powers and abilities. Even after the flood Nimrod was able to build what many suspect was a stargate. I know of at least on researcher who claimed that Enoch built it. In any case it is really of no consequence who actually did build it as it is obvious they were very aware of of YHWH’s plan for the redemption.